MC: 1.11 - The Exploration Update! This does a nice job at listing the changes. So, since this doesn't involve a wipe (thanks jeb!) we should talk about trimming again before 1.11. Also, maybe a new world seed past the trimmed edges? I like the current seed a lot, but maybe a new one would get T his mooshroom biome this time around? I'll at least be restarting the server temporarily with a blank world on 1.11 for this upcoming weekend's adventure times. As for our more permanent world, I'll be happy to dig out my old trimming scripts again. I'm sure there's been a little bit of expansion since the last trim, but it doesn't look like much or any. That should make picking the right chunk files an easy job, at least. I think a new seed for the trimmed areas could be fun! We will face the Cliffs of Jeb, of course, but that's nothing a few stacks of TNT in everyone's inventory wouldn't fix. /me raises hand for a trim. It really needs to be done. The maps are massive right now. I really don't mind, but the world should be trimmed for the upcoming update. What about the possibility of trimming off the "farther out" sections (like Ely and Jess) and copy/pasting them in closer to CC? 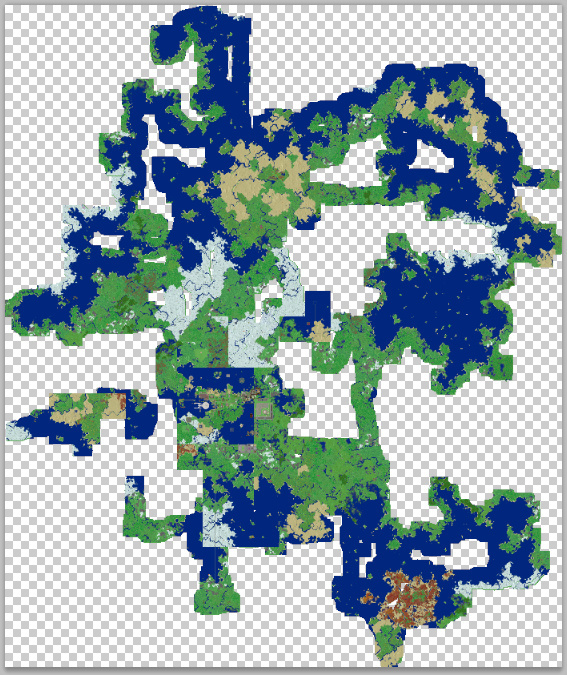 Just to sort of "compact" the map and make it easier to trim down for future updates. Perhaps inside the outer Portal ring? Obviously Ely should have a say in that, but I know Jess won't care. Nothing I'm set on, just wondering if it would make future trims easier by only needing to preserve what is inside the ring. I'm not horribly opposed to that idea. If we are going to deal with cliffs anyway then why not? So, let's get this world trimming discussion underway. I'd like to act soon so we can upgrade the world game to 1.11. I pulled the last backup from when I shut down the game on Saturday, and it was a whopping 2.12 GB. That's... yeah, that's pretty big, especially when you consider that each of the chunk files are also zipped. Last night before I went to bed I started running the world through the program I use to generate a 2D overhead 1:1 pixel:block image, and today I found the output file. It took about 7 hours to finish. 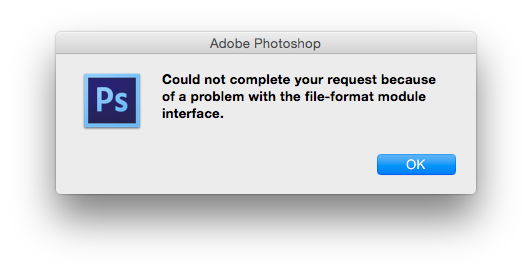 Photoshop gives up and can't figure out how to open it. I guess, uhh, I guess I'll come up with some other way to visualize what we might want to keep unless we're OK with just trimming exactly what we trimmed last time. Update: Apparently I should give Apple more credit. Preview was sort of able to open the file after five minutes of chewing. The window is an empty grey void, but at least I was able to extract the dimensions. I think the trim from last time is still good. There's not too much new stuff outside that other than a few village upgrades, and those are easy enough to redo (that is if the ghost village/temple glitch still happens in 1.11). Surprises me it's that big. I figured that the Biomepalooza map prior to the trim would've been the big daddy, what with the NSEW exploration arms. : wait, how can it be that big pixel-wise? The absolute furthest portals out are 16000 either way... even with a little walking around outside that seems very odd. Like an order of magnitude+ odd. [edit2]: ok, this is super strange. Check out mcmaps.applenova.com and head west. Get to the 16000 portal, then keep swiping west for what's probably another 50000 or so blocks (it's blank, so hard to tell). All of a sudden you'll start so see single chunks peppered everywhere. Same thing at the easternmost portal. Probably north and south too. The heck? Last edited by 709 : 2016-11-21 at 19:22. You Can Trim Everything Around My Place. I'm going to have to assume that some bug in the Minecraft server decided to generate chunks at super-distant random locations. Otherwise, someone lost their fracking mind on a portal run. I'll overlay my old Photoshop grid file with this and verify that everything checks out with you guys before trimming. 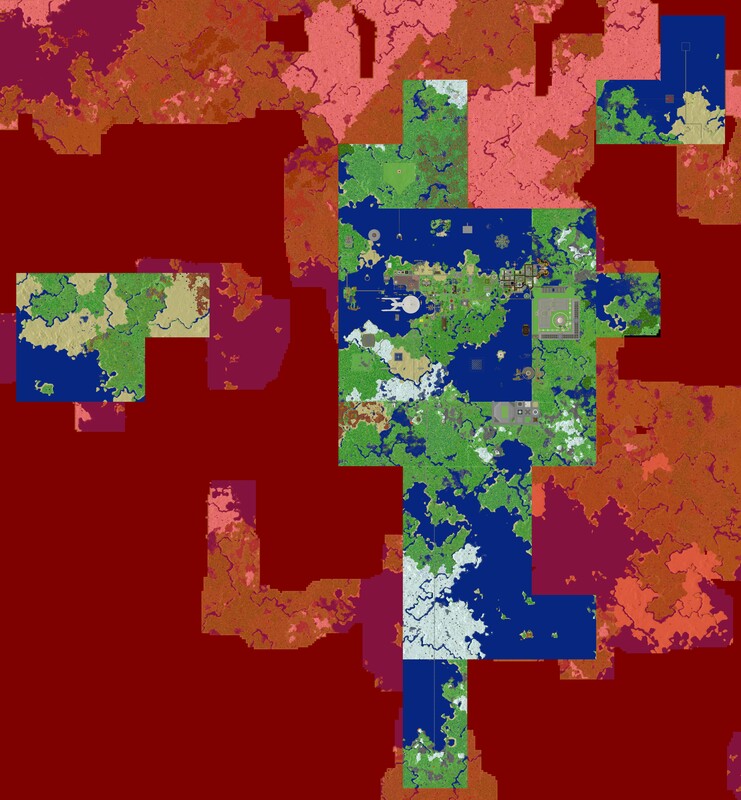 Here's the core region of our world with a red overlay showing what I would trim. I've adjusted slightly from the last trim to include a few blocks where I see new activity. - Ken: I can't see from here how far out your underground project currently stretches. Would you check and let me know if it's safe? - Elysium: I see your player is currently positioned near a portal in the block south of your western temple, but from the surface I can't see any structures or activity out there. Should I keep that block, or would you retreat back to a safe place for the trim? - I see what appear to be long-abandoned beginnings of a structure in the block immediately west of Turtle's mountain castle. Does anyone know if anyone has been out there recently? Would that be okay to trim, or should I keep it? - Is there anything else we should keep that I may have missed? I was thinking you might trim all the water on the lowest southern rail run. There isn't anything substantial there that I'm aware of. 709 should input on that one before it's cut. I'm good with the proposed trim other than adding this bit more to it. This was one of the new guys that i'm not recalling the name of right now. They haven't been on in forever. I can't imagine that trim being a big deal, but it was the home of a player who played for a few months. Other than the player hasn't been on in a long time, I would be cautious of that being trimmed for "fear" of destroying my view. The new chunk with the E portal can go. That's just a ghost village that doesn't have any actual belongings or bed there (I just checked). As for the southern rail trim, I'm fine with that. It's a nice ride, but agree that it would be nicer actually going someplace more useful. I should be okay with that trim, but I'll check the far east side of my project and post the coord. when I get on in a little while. Edit: So I'm out to X=1390; Y=810, where 810 represents the centerline of a 255-block wide circle. Looks like I'm well inside the outer edge. Last edited by kscherer : 2016-11-22 at 12:54. That block can go. I just fired up the portal from the old monument and ended up in a cave system. I'll move out my loot and get out of there in short orderish. So Brad, any rough idea what day/night you might be pulling the switch? I'm fine leaving it so we don't risk spoiling your view. I kept that block because it looks like the little village is currently being inhabited by Taillie_Griffon. I'll double-check my files list against the grid (I actually have this plotted on old-fashioned grid paper ) and maybe pull the switch tonight or early tomorrow. Also, maybe a new world seed past the trimmed edges? I like the current seed a lot, but maybe a new one would get T his mooshroom biome this time around? I'm keen on having a new seed for the new chunks. Agreed, yes? Yeah, new seed. Lets go all out. We can pass out stacks of TNT to shape edges as needed. I'm good with the final trim map too. Speaking of maps, I'm holding off on doing the maps again at this point until the trim is done. Once the world is live with the trim and update I'll start up maps again. I think her avatar is still out there from before the previous trim – she and iJak and gleek were out there for a bit. Her base is at your spawn beachside guesthouse iirc. I checked a few days ago and there was no sign of habitation there. And yes, new seed plz! Let's see if we can get a Mansion inside of 10k blocks. I'd say you are right. She hasn't logged into the server since August 27th. OK, in that case, I'll lop off that block with the trim. (I won't bother with another preview pic.) The next time she logs in she might have a rude awakening, but things could be worse! Just popped over to a stronghold outside the trim border in our current world and it's been reset (same 1.10 seed). Confirmed by visiting previously revamped villages and they've been reset too. Sorry! You'll need to wipe those again before the switch. So I'm not even close to home to move out the loot or even leave the chunk until Sunday late. If we do wipe it can I get replacement gear? Sure thing, Ely. Just name your needs. 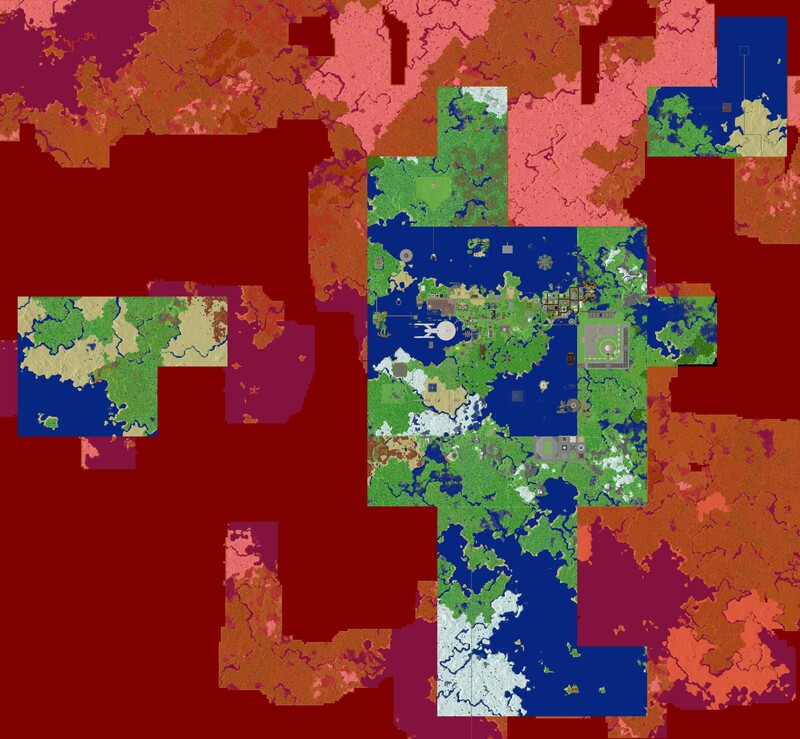 Also, I'm still testing some issues locally with updating the world for new seeds. I had hoped to be done by now, but I'll get the server updated as soon as things look good here. Of course, Brad (or I) can kill your profile so you are forced to spawn at spawn. Then you won't have to trek back from an unknown chunk. 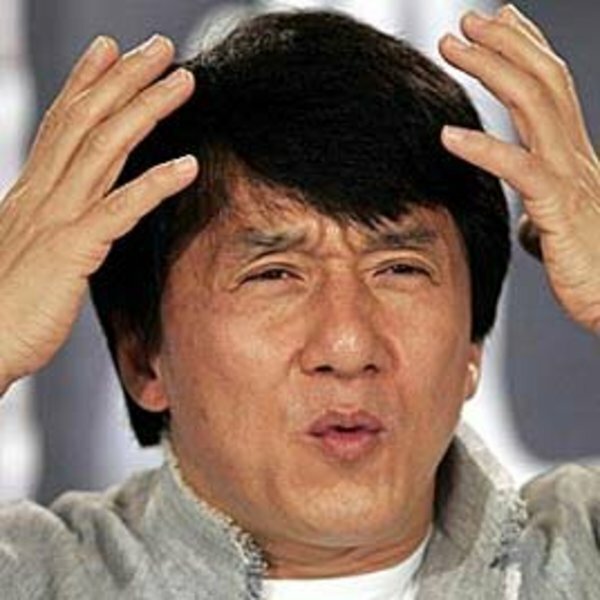 Brad, that got me thinking, maybe we should kill the user profile for all the players that haven't been on in forever. This would ensure they spawn at spawn and not 1000 blocks away. If they say something about losing loot, we can give it back to them. World has been trimmed, slightly tweaked to fix some entity problems, provided a new seed, and sent back out on her merry way with v1.11. I think that's a great idea! I would do that tonight, but it's getting late. If you don't beat me to it, I'll take another look at pruning out old, distant users tomorrow.